It is common for women to gain weight as they age, but the extra pounds can be prevented. According to Dr. Lori Warren, a gynecologist who also partners with Women first of Louisville, weight gain is one of the major complaints among her patients. If you don’t want to pack extra pounds as you reach menopause, increase your workouts and consume a healthy diet. 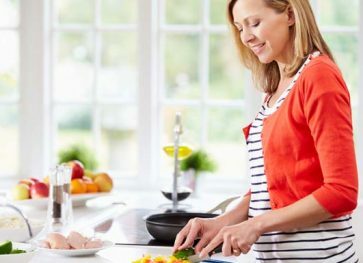 Weight gain during menopause isn’t inevitable, changing your eating habits and becoming more physically active can help to reverse the course. Given that menopause come with physiological and psychological changes, becoming fatter can make you lead a less active lifestyle only to worsen its symptoms. 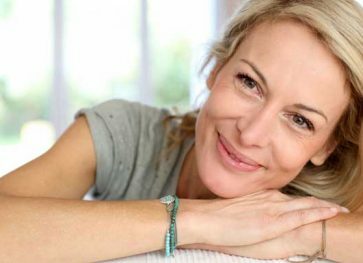 Hormonal changes that occur during menopause account for weight gain especially around your abdomen than in other body parts like hips and thighs. However, it is not changes in hormones alone that make you fat. Other factors that contribute to extra pounds include aging, genes and sedentary lifestyle. For instance, your muscle mass may diminish as you grow older, while fat may perk up. With the loss in muscle mass, it means the rate at which your body utilizes calories declines, making it even harder to maintain a healthy weight. Failure to adjust your eating habits and engaging more physically will definitely make you fat. Genes can also play a role when it comes to menopausal weight gain. You are likely to have more fat around your abdomen if your parents and close relatives experience the same. This occurs because genes that contribute to weight gain are passed on from parents to siblings. Stress: This can occur due to many factors including loss of a spouse, children leaving your home or due to other major changes. Physical and psychological changes that occur during menopause can lower your productivity and make you stressed. These can affect your diet or exercise habits which can make you fat during menopause. If you gain weight during menopause, you are more likely to experience other health problems. Health problems associated with weight gain include type-2 diabetes, heart disease, breast cancer, high blood pressure, and colorectal cancer. These diseases are chronic and can be fatal if necessary measures to contain them are not implemented. It is important to go for regular screening if you find yourself gaining weight during menopause in order to get early treatment in case an illness occurs. There exists no single pill for preventing or reversing weight gain during menopause. The only way out is to stick with weight-control basics including exercise and healthy diet. Exercise: You should incorporate aerobic activities in your workout regime if you want to shed those extra pounds and maintain a healthy weight. Engage in strength training exercises so that your muscles burn calories more effectively, which is essential in controlling your weight. Some of the moderate workouts recommended by Department of Health and Human Services include brisk walking for 150 a week, vigorous aerobic activities like jogging for 75 minutes a week, and strength training workouts twice every week. 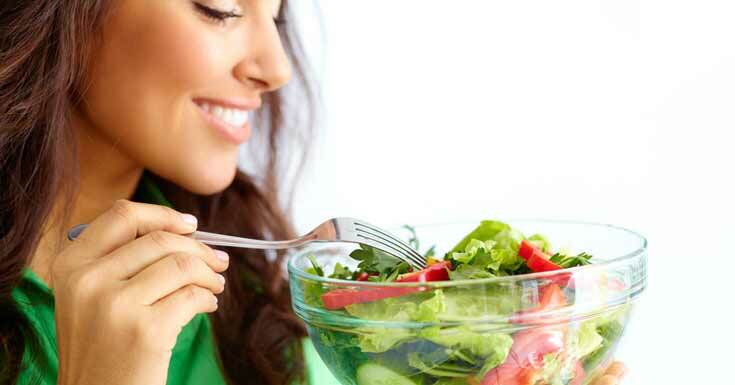 Healthy Diet: You need to cut your portions if you don’t want to gain pounds on reaching menopause. Cut your daily calorie intake below what you were accustomed to before reaching menopause. Ensure that you consume healthy drinks and foods rich in essential nutrients on a daily basis. Look for leans sources of protein and increase your intake of whole grains, fruits, and vegetables. Manage Stress: Learn better ways of dealing with stress such as becoming outgoing, practicing yoga, and meditation. Venturing into new occupations can also be helpful in easing stress or depression. Find Help: If you find life becoming tough, don’t hesitate to go for help from experienced counselors, trusted friends and family members. These can be helpful in ensuring that you get adequate exercise and eat healthy food. Stay Hydrated: Water is good for your health in supporting metabolic activities to effectively burn fat. Taking a glass of water before a meal can reduce the amount of food you consume in a single sitting. It’s worth noting that in order to maintain a healthy weight, it calls for permanent changes in your diet and workout practices if you want to be successful. You must commit to these changes to keep away health implications that come with weight gain during menopause. Eat fruits instead of cookies, enjoy a brisk walk every day, or try a yoga class to remain physically active and healthy. Stepping up your exercise and eating less are the only solution to avoid weight gain once you reach menopause. Go for regular medical checkup if you notice an increase in weight after menopause in order seek early treatment for diseases that might crop up. 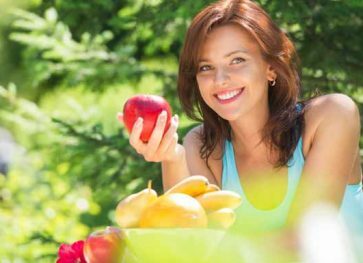 How to Achieve Hormonal Balance Naturally?